We pursue the highest standards of corporate responsibility and professionalism in everthing we do. JC Construction Ltd’s capabilities range from building maintenance and building construction to facilities management to building construction. We are geographically and strategically placed to integrate our professional services in order to provide our clients with great value, savings and efficiency gains while improving essential front-line services. JC Construction has a strong and well-established commitment to ethical business conduct and compliance with applicable laws and regulations. Our senior management sets the core values for the company, the expectations for ethical business conduct, and leads by example. Corporate governance is the set of processes, customs, policies and laws affecting the way we direct our company. a corporation is directed, administered or controlled. Principal stakeholders are the stockholders, management and the board of directors. Other stakeholders include employees, suppliers, customers, banks and other lenders, regulators, and the community at large. The leadership of a company sets direction, creates visions and excitement, aligns people, builds new relationships and structure, and motivates and inspires. For us a company to grow, we must embrace continuous transformation and sustainable change, and challenge ourselves to bring new and original ways of thinking. It’s really the people that make JC Construction Ltd the kind of company it is. We hire people who are thoughtful, hard-working and determined, and we favour ability over experience. Our company invests in its employees with a range of programmes to promote diversity, support growth and enable professional development. JC Construction Ltd strives to build an environment in which employees accept each person’s differences irrespective of nationality, culture, race, gender, or the presence or absence of physical limitations. 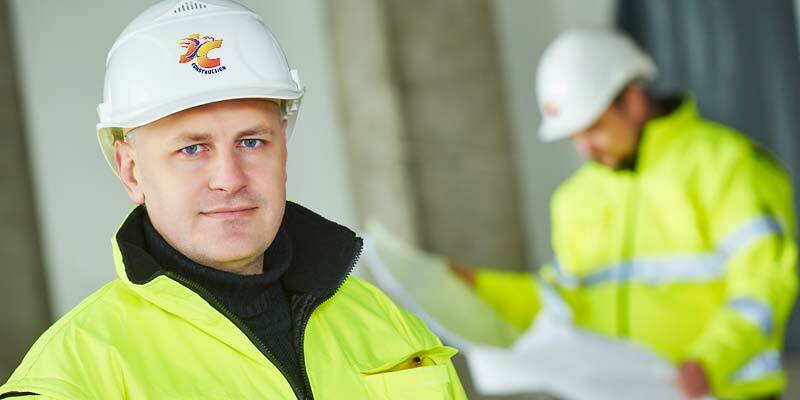 JC Construction Ltd’s employees see such differences as a matter of “individual character,” and the process of interaction among individuals leads to the creation of entirely new value. JC Construction Ltd works hard to build safe and healthy workplaces that give due consideration to the lifestyles and life stages of the people who work there. JC Construction Ltd is wholeheartedly committed to improving the quality of our services from the customer’s point of view in order to both maintain and enhance satisfaction, confidence, and trust. Our most important goal is to remain a highly trusted partner to all customers. Social and environmental responsibility is an important part of our relationships with local and nationwide suppliers. JC Construction Ltd’s procurement team work closely with them to ensure compliance and encourage improvement. Our long-standing commitment to environmental protection encompasses all our business activities in the communities we service and beyond, from conserving energy to minimising waste and much more. We are also applying recycling and reusable policy and practices to the critical challenge of creating a more environmentally sustainable world. We listen to the views of customers, and act on their feedback so that we may serve them better. In reaching our community, we rely on a close working arrangement with key partnerships to deliver planned works programmes with a high-level of customer support within an agreed framework and realistically achievable KPI’s.